It's a short list this week, but next week will be bringing more content from a variety of places. 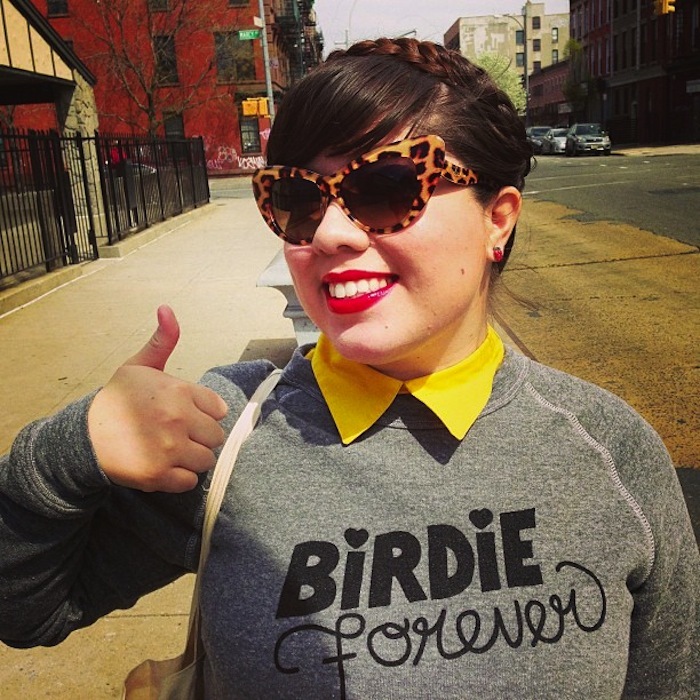 For now, this photo is a preview for the two-part Birdie post to come! 1. Retro Revival: Thinking Outside the Pillbox via Modcloth. I love pillbox hats and I love that they have a tutorial to create your own. I sort of hap hazardly did this for my Pan Am costume a while back. 2. A list of Megan Drapper's outfits. She really grew on me! This will cheer up any bad day you might have. 5. I love this Refinery 29 interview and photo shoot with Erin of Calivintage. 6. I also totally dig this blog entry from Lost in the Haze: How to Style Cat Fashion. 7. Interesting insight on the show, Girls. 8. New Girl Season Two's 15 Best Moments of Physical Comedy (through gifs). This show is really coming into its own and is way more hilarious than people know! 9. How Ethical Are Your Favorite Brands, Really? This article from Refinery 29 is super informative and useful. 10. This pink home is AMAZING!!! It belongs to Diana La Counte and is showcased on A Beautiful Mess. Speaking of A Beautiful Mess, has everyone checked out their new app? I'm obsessed! I found the names of Megan's outfits to be even better than the outfits themselves, they really made me laugh! Thanks for sharing!